Where do you want to go? What do you want to eat? What should we drink? These are the questions that can make or break a date, a gals’ or guys’ night out, or just a fun day with friends and family. We’ve made it easy for you. Here are seven things to eat and seven things to drink that pair perfectly together, at seven Bangor-area restaurants, cafes and breweries — for breakfast, lunch and dinner. 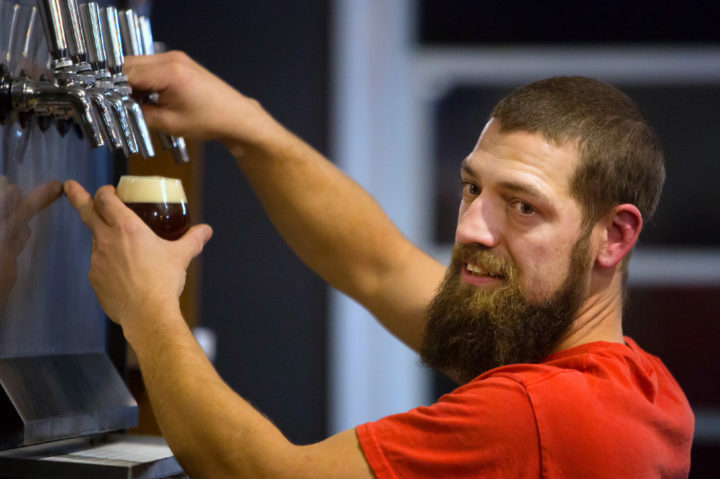 Cory Ricker, head brewer, pours a beer at 2 Feet Brewing Co. in Bangor, Nov. 18, 2016. Food snobs tend to scoff at chicken tenders, because it is often the preferred food of otherwise picky eaters, including your average toddler. But guess what? There’s a reason everybody loves chicken tenders: because they’re delicious. When you find a chicken tender that’s perfect, you need to hold onto it like a precious gift. 2 Feet Brewing, the laid-back, family-run brewery on Columbia Street in downtown Bangor, makes a perfect chicken tender. Its sticky fingers are breaded and baked in-house, liberally coated in a spicy-sweet brown sugar and Sriracha sauce, and served with ranch dressing. They are utterly delicious. Pair it with 2 Feet’s Barnburner, a dark saison brewed with ghost peppers and jalapenos, which sounds spicier than it actually is. It goes down smooth, but it’s got a nice chile aftertaste. It’ll warm you right up. We here at the BDN have already weighed in on the breakfast sandwiches available in Bangor — but that was before the cool and comfortable Wicked Brew Cafe on Park Street in Bangor started making its breakfast sandwich, which is a true triumph in the field. Co-owner and chef Carrie Shorette starts with dense homemade English muffin bread, or a housemade bagel. She throws that on the griddle with a fried egg and lots of cheese, which melts over the bread and starts to brown up and get crispy on the hot surface. Top it with bacon or sausage, or just eat it plain with the egg and cheese. If you don’t want messy fingers, eat it with a knife and fork. Pair it with a pour-over coffee — strong, smooth and flavorful. Now that’s a nice way to wake up. The sushi burrito at Bangor Beer Company and the Oriental Jade in Bangor. Bangor Beer Co., sister eatery to Oriental Jade, is next door to Bangor Mall Cinemas, so you can eat, drink, play one of Bangor Beer Co.’s retro arcade games (we recommend Star Wars pinball), and then walk over to see a movie. Add in Bangor Beer Co.’s fusion of Japanese, Chinese and American comfort food, and that makes it one of the most fun places to eat in Bangor. 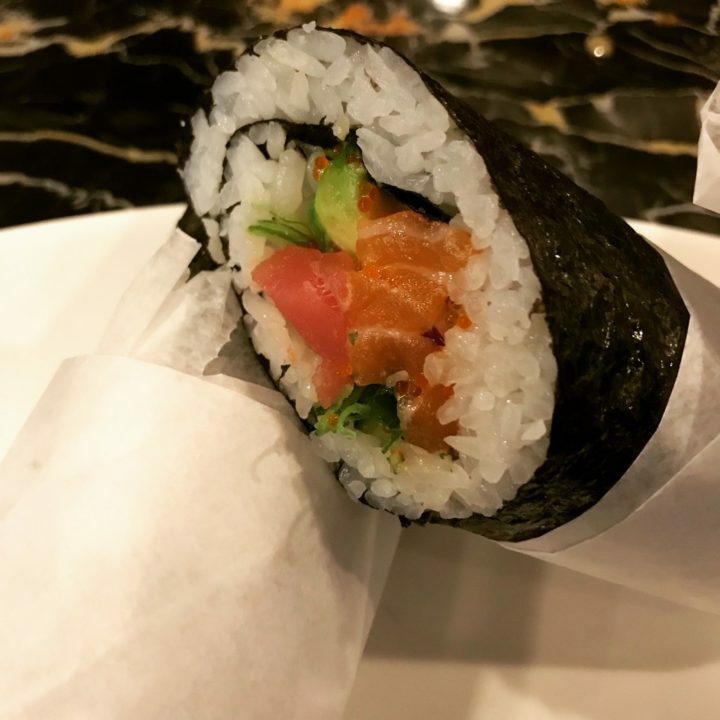 That fusion of cuisines is represented beautifully in the sushi burrito: tuna, salmon, seaweed salad, veggies and spicy mayo, all wrapped up with rice and nori, like a burrito. You can get it vegan, too, with mango, avocado and tofu in lieu of fish. Bangor Beer Co. specializes in American-style brews, especially IPAs, and Catchphrase, a 5.2 percent New England IPA, is juicy and hoppy without being bitter. A Cuban Sandwitch prepared food for a customer at the Cubita Libre Cafeteria. Even after an early January car crash damaged the facade of its building, Cubita Libre Cafeteria, located next to Bull Moose Music off Hogan Road, reopened not long after the incident thanks to help from its devoted patrons. There’s a wealth of great Cuban dishes available at this cozy cafe, and they also offer Cuban coffee — Cuban espresso, cafe con leche and cortaditos, the sorts of coffee drinks had in cafes in Havana and Miami. The Cuban sandwiches here are massive and super flavorful (roast pork, ham, Swiss cheese, pickles and mustard on toasted crusty bread, in case you’re not familiar). 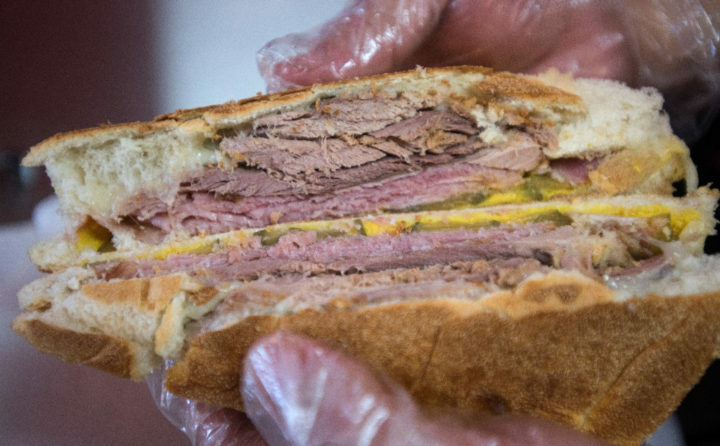 But if you can get the Cuban sandwich as a Medianoche — the same fillings, served on fluffy, sweet bread instead — do that. A common question one will get in any city, big or small, is where you can get a good steak. Opinions vary widely, and in the Bangor area, there are several good options — but for quality, consistency and bang for your buck, Woodman’s in Orono is the way to go. Woodman’s almost always has a filet mignon, ribeye or New York strip on special, with an array of different toppings and sides, cooked to your liking. As for a drink to go with that hunk of meat, Woodman’s always has Orono Brewing Co. beers on tap (it’s owned by the same people, after all), but don’t sleep on the cocktails. Since day one back in 2005, Woodman’s has had expertly made cocktails, and a Woodman’s mojito is a thing of beauty. Treat yourself. You deserve it. Lunch at the pub with UMaine Football, Munster Rugby, Leicester v West Ham, AND the Orono v Houlton Soccer Semi Final! 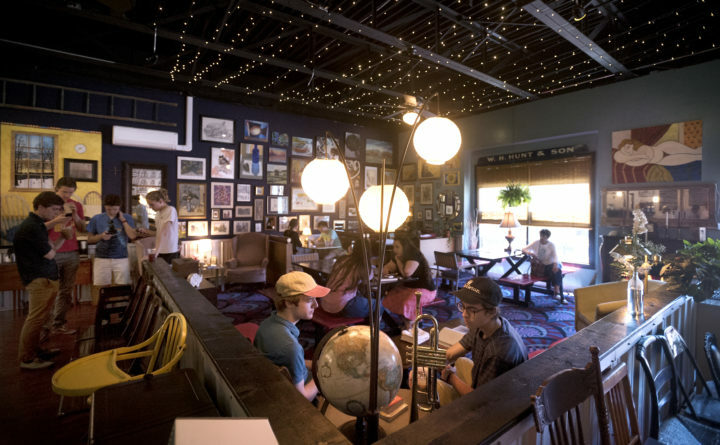 A relative newcomer on the scene, the Common Loon opened last summer as an English-style pub specializing in televised soccer, rugby and cricket matches, as well as UMaine and New England sports. 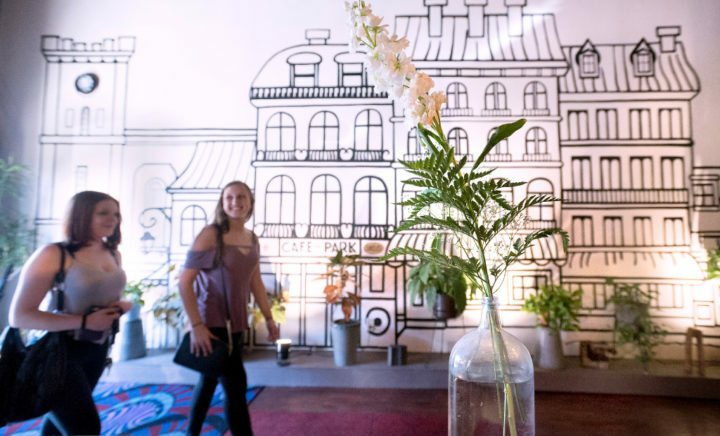 Like the bar that preceded it in its Maine Street building, the Loon offers brick-oven pizza, but there are a number of classic British menu items as well. Our favorite? Pasties. No, not those pasties — Cornish pasties, pronounced like past-ees. Shortcrust pastry dough stuffed with a variety of fillings and shaped into a flaky, savory hand pies. Sounds good, right? There are four varieties on the menu, including a vegetarian option. The Loon has lots of English and Irish beers on draft, but who doesn’t like a Guinness? A Newcastle or Harp suits the bill just as well, however. Grillin' Brazilian serves up sandwiches, grilled meat and other Brazilian treats out on the Odlin Road in Bangor. We understand that, right now, summer seems like a distant dream. 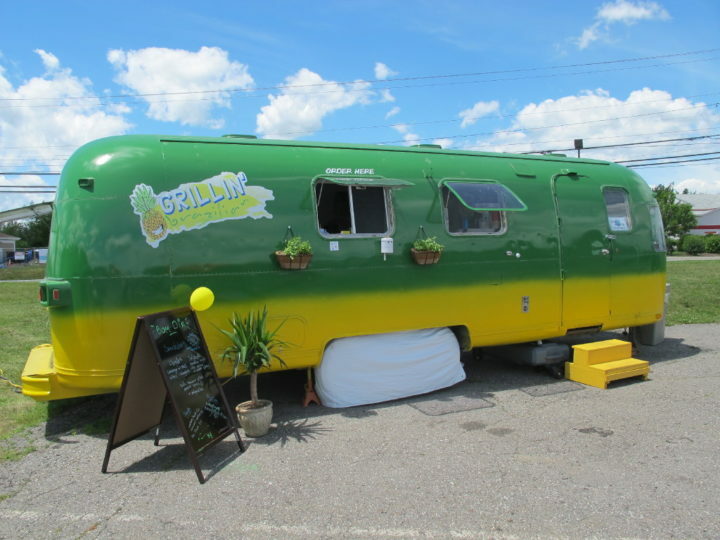 But soon enough, it’ll be here, and with it comes food truck season. Bangor has tons of trucks nowadays, so there’s a lot to choose from. For a great food and beverage pairing, beeline toward Grillin’ Brazilian and order up some grilled chimichurri steak skewers with a side of rice and pao de queijo cheese bread, and a can of guarana soda — Brazil’s favorite soft drink, flavored like its namesake tropical fruit, and specially imported for the truck. Grillin’ Brazilian parks at the Bangor Waterfront, at breweries statewide, and at festivals; a schedule will be posted in the spring.